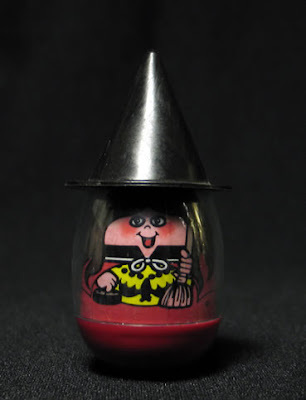 Being Retro: W is for Weebles! "IMAGES FROM VARIOUS WEB SOURCES"
Weebles is a trademark for several lines of children's roly-poly toys originating in Hasbro's Playskool division on July 23, 1971. 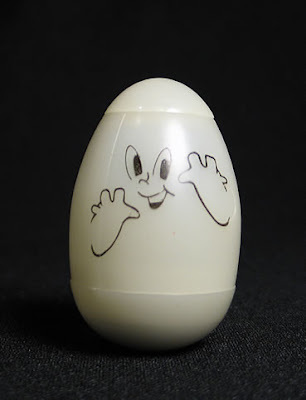 Shaped like eggs with a weight at the fat, or bottom end, they wobble when pushed, but never fall completely over, hence the name and the slogan "weebles wobble, but they don't fall down." Some Weebles were designed to look like humans. The "Weebleville" series of 2004 and 2005 looked more like anthropomorphic animals, but the "Storybook World" series of 2006 has returned to more humanlike faces for the figures. 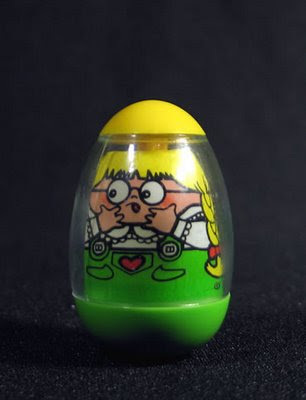 The popular catchphrase, "Weebles wobble, but they don't fall down", was used in advertising during their rise in popularity in the 1970s and during the relaunch in the 2000s. 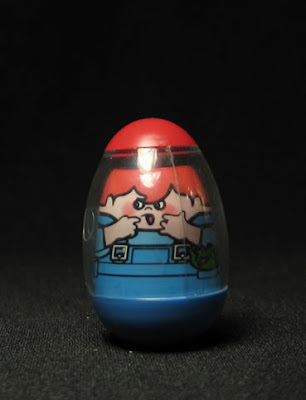 A wide range of accessories were available for the Weebles including vehicles, buildings and furniture. 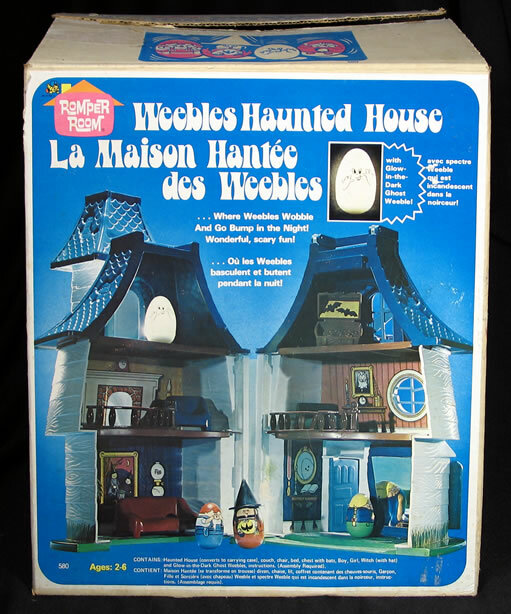 Some sets had a theme to them, such as the Weebles circus set. OMG! I had that haunted house as a kid. I had forgotten all about that. Thank you! Snif Snif. :-) After Star Wars came out, I used to take Han and Leia and Luke and they would go on adventures in the Weeble Haunted House. Of course they ALWAYS fell down because those figures had tiny friggin feet. Damn, I loved that Haunted House!